When it comes to keeping fit for better performance on the job, it’s everyday guys like these that best demonstrate the importance of being in peak physical condition. From pulling people out of burning buildings, to chasing down bad guys, to working on their feet up to 16 hours a day, these men demand a lot from their bodies. Not being physically prepared to carry out the responsibilities of their strenuous job is not an option, which is why all five of these dedicated men find the time to work out. Some prefer to hit the gym for a more traditional approach to training, while others hit the great outdoors to satisfy their pursuit of greater fitness. 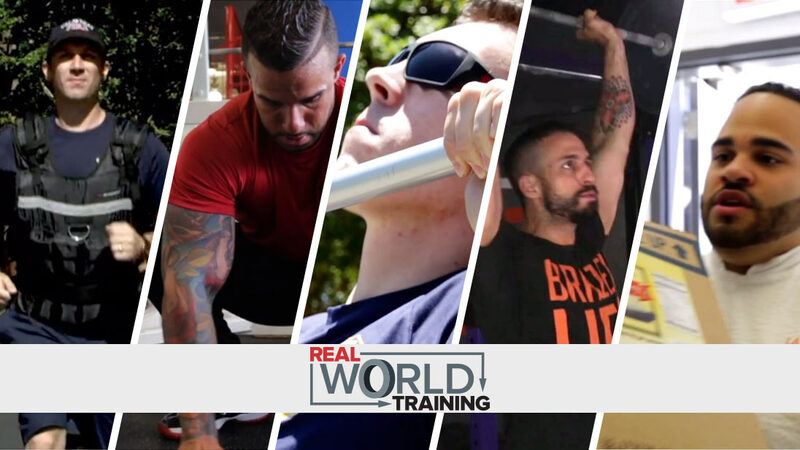 In each of these five Real World Training videos, you’ll see why it’s so important for the fireman, the cop, the coach, the chef and the coast guard to maintain a superior level of fitness, and the varying ways they go about accomplishing it.